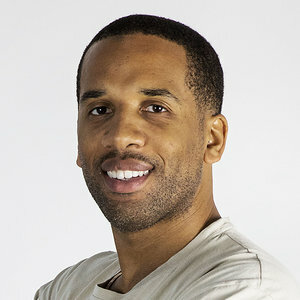 Maverick Carter is an American businessman and media personality. He is the CEO of LRMR Innovative Marketing & Branding and LeBron James’ childhood friend and agent. He is also the CEO of the distributed media platform for athlete content, UNINTERRUPTED. Born on October 10, 1980, in Akron, OH, he is the son of Katherine Powers, a social worker, and Otis Carter, a drug dealer. He attended St. Vincent–St. Mary High School in Akron, where he played basketball with LeBron James. Following his high school graduation, he played college basketball at Western Michigan, before transferring to The University of Akron and focusing on other pursuits. Carter is the former boyfriend of Kelly Rowland. *He was born on October 10, 1980, in Akron, OH. *He has been a longtime friend of Lebron James and has served as his business manager since 2006. *He played basketball with James while in high school. *He and James launched SpringHill Entertainment in 2008. *He has also worked with football player Johnny Manziel.